Whidbey Island serves 3 different school districts: South Whidbey, Coupeville, and Oak Harbor. In each one of these districts, temporary housing can look very different. Some areas are very wooded and are easy to hide in; some areas are more city-like and have housing options that the others do not. The majority, 70% of these homeless youth are “doubled up”, meaning they are sleeping on the couches, floors, and occasionally the extra beds of friends. Three percent of homeless youth live in an un-sheltered environment; under tarps, in tents, in cars, or even in the woods. As the cold weather approaches, these are the students that are of the most concern. Out of fear, 29% of these students aren’t comfortable revealing information about where they are staying. Kids shouldn’t have to be fearful for any reason, especially regarding the topic of their housing. 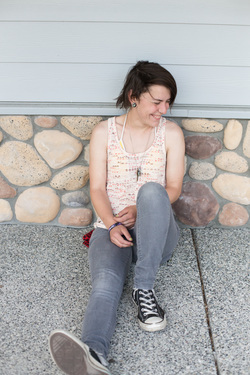 The Ryan’s House For Youth Organization relocated to a new facility in Coupeville and now offers a larger and better serviceable Drop-in Center and Emergency, Short-term and Transitional housing. Ryan’s House For Youth is supported by a local board with many years of experience in counseling, mediation, human services, and education. The staff is educated in youth and family studies, human services and social work fields and has a combined 80+ years of experience with youth in this age group. Ryan’s House For Youth also works with many different support agencies, such as Island County Housing Authority, Readiness To Learn Foundation, and The Opportunity Council. Additional support comes from local law enforcement, and our local schools. There are also many local businesses and individuals that have helped financially, through gifts in kind, or volunteer hours. A venture of this magnitude needs assistance from people like you! We all need to support the educating, teaching, training, and imparting of knowledge and skills to our youth, so they may be empowered to fully participate in society.